I'm just spoiling you with pancake recipes at the moment, aren't I? 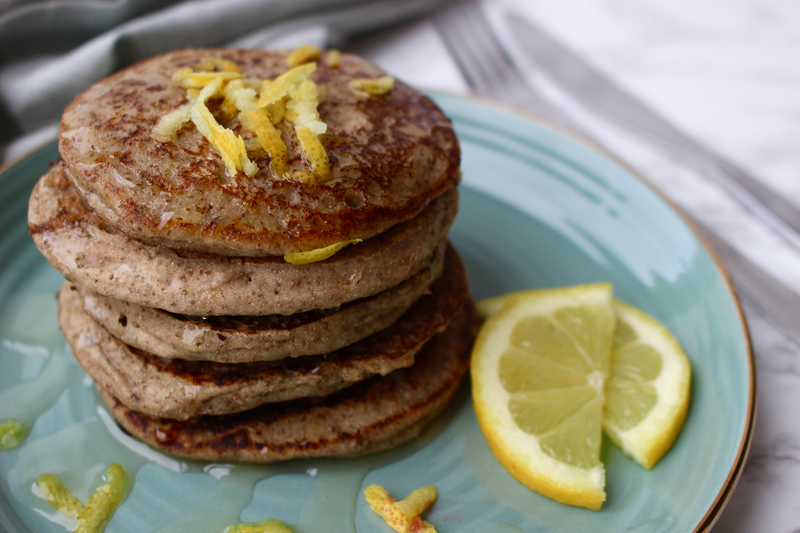 Just a couple of days ago I posted the recipe for crepes with caramelised banana & chocolate sauce and now I'm bringing you the recipe for these lemon & chia seed pancakes! Well, you've got to have choice for Pancake Day haven't you?! 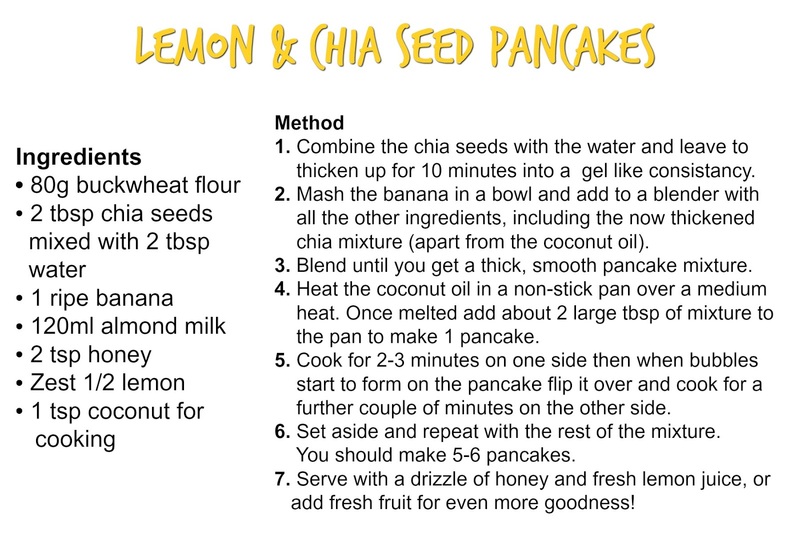 These lemon & chia seed pancakes are hands down the best pancakes I've ever made. They're perfectly soft and fluffy with an incredible zestiness from the lemon and sweetness from the honey. They're so delicious and indulgent but are made from all wholesome, natural ingredients that means you won't feel sluggish or bloated after eating them - win win! I love thick, American style pancakes like these - they're so moreish, so comforting and utterly delicious. Classic American style pancakes are often full of over processed ingredients and refined sugars and aren't good for people suffering with allergies or intolerances, but this recipe changes that! 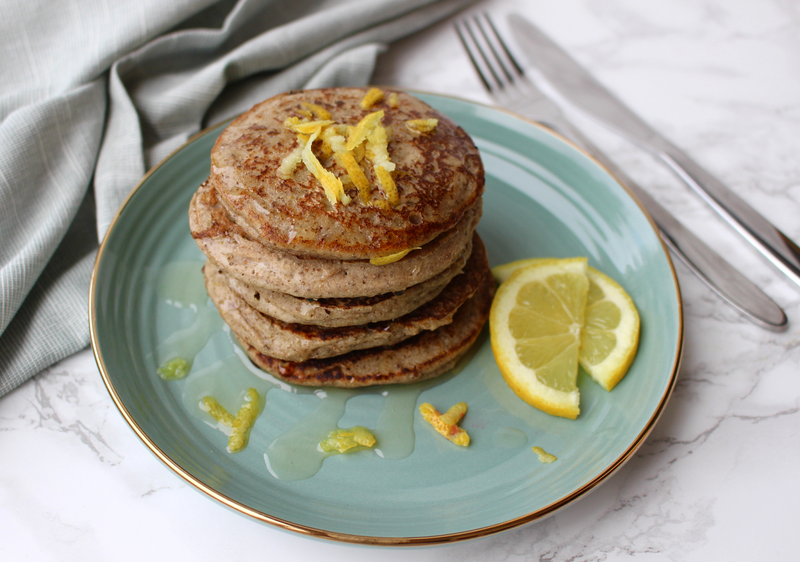 My healthy twists makes these lemon & chia seed pancakes gluten free, dairy free and refined sugar free but trust me, you'd never know it. The texture is spot on, they literally just melt in your mouth in the most dreamy way and every bite you take is full of flavour. The batch will be devoured in seconds! Not only are these pancakes perfect for Pancake Day but they can be eaten all year round! As a dessert or even as a breakfast - they're loaded with protein, healthy fats, energising carbohydrates and vitamins & minerals to fuel your body in the best possible way.